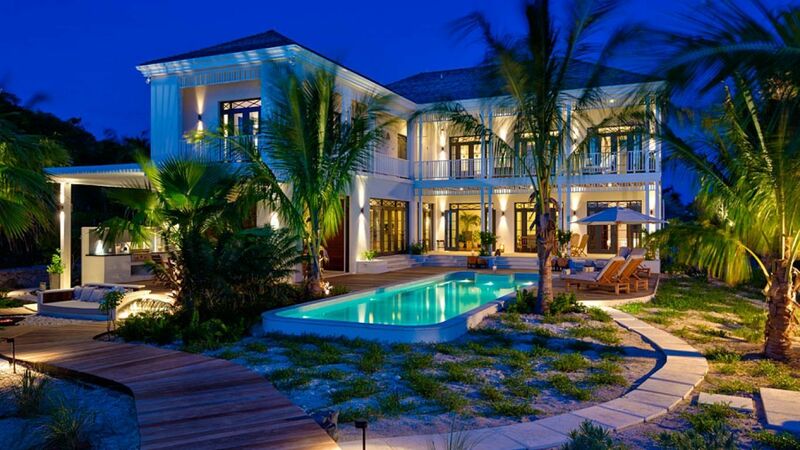 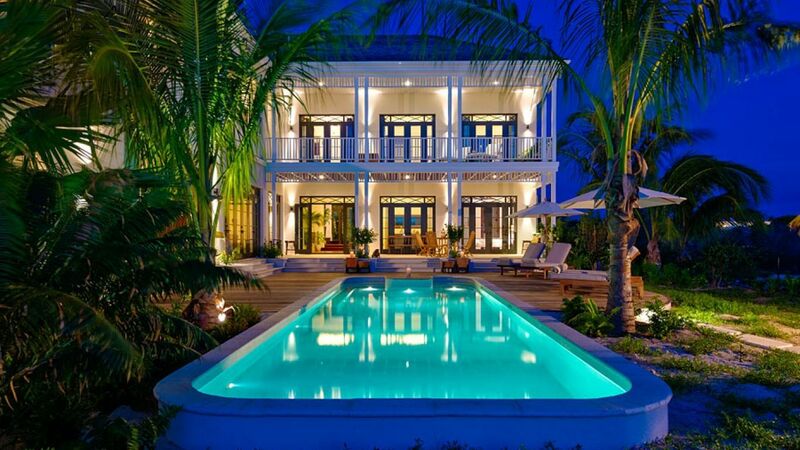 Villa Jazz is located in a lush tropical garden, a 5000+ square foot, two-story, L shaped Colonial Style villa. 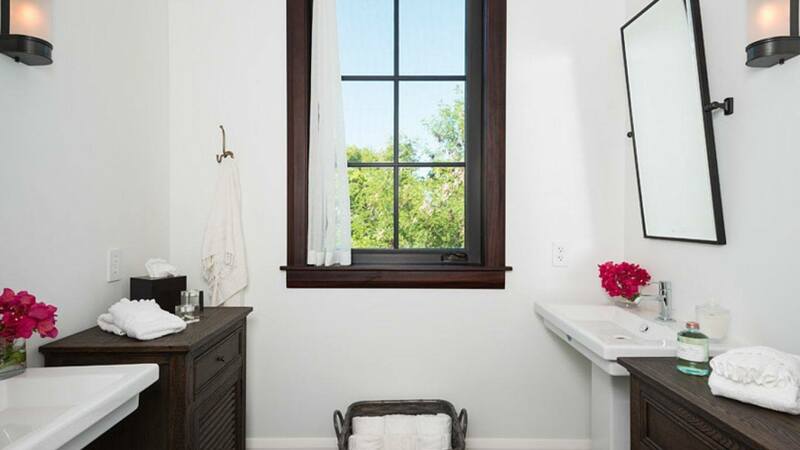 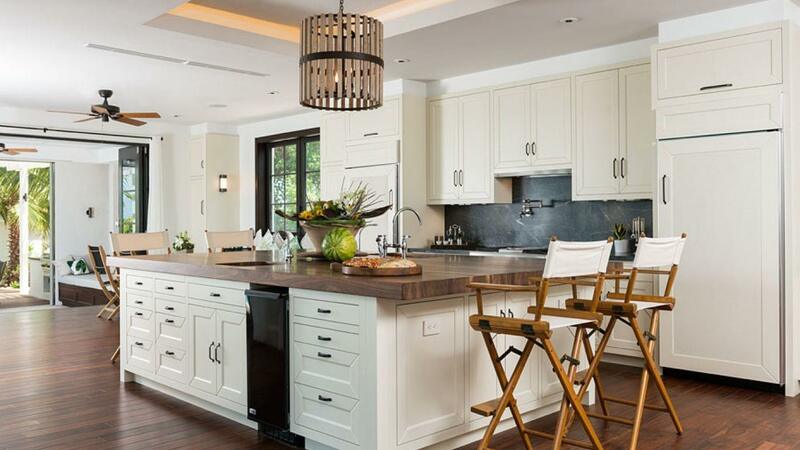 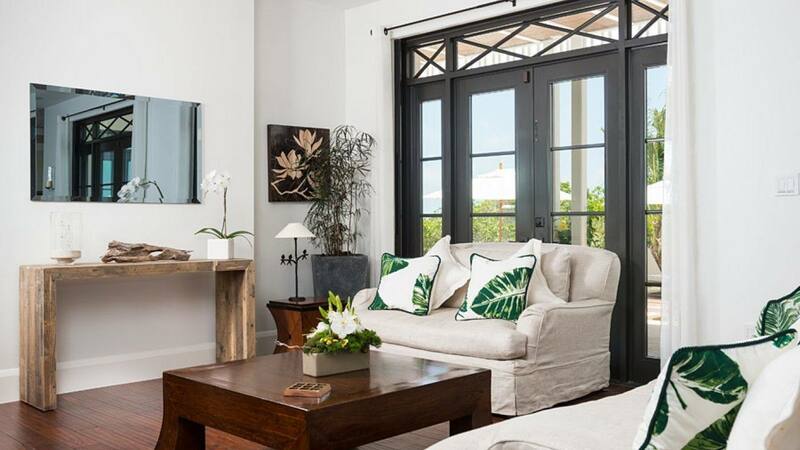 Exquisite and understated elegance are the signatures of this warm and soulful home. 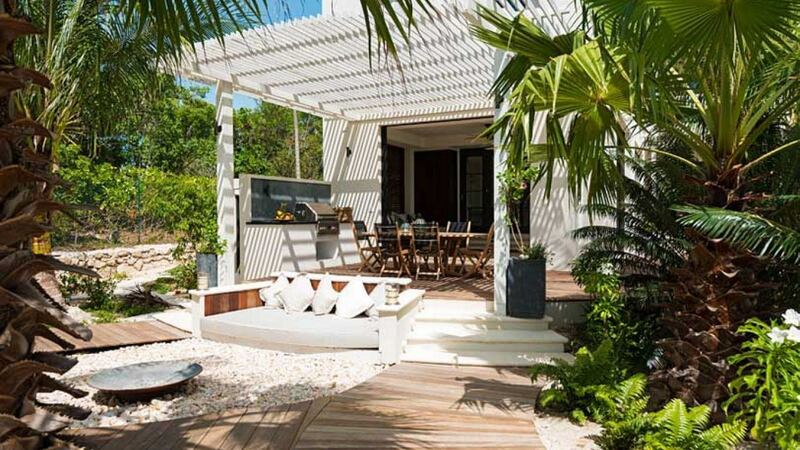 Nestled discreetly into a private sunset-facing cove on one of the top beaches in the world, the use of organic materials and woods complement the modern conveniences of this freshly completed family home. 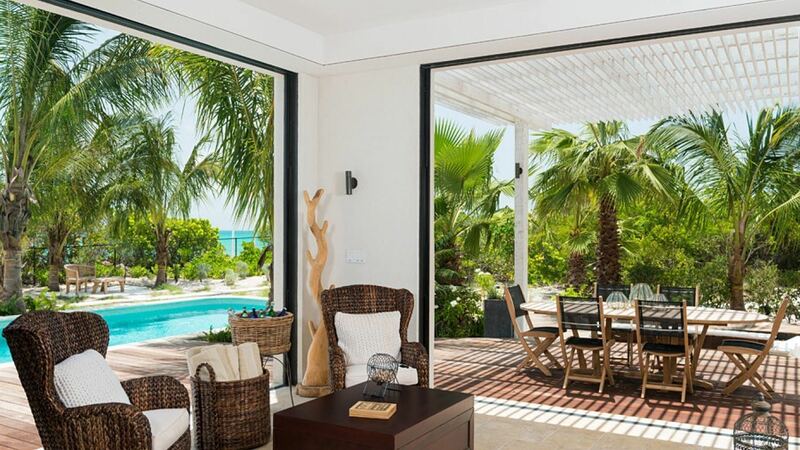 This stunning retreat offers 4 bedrooms and 4 bathrooms that can accommodate up to 8 people. 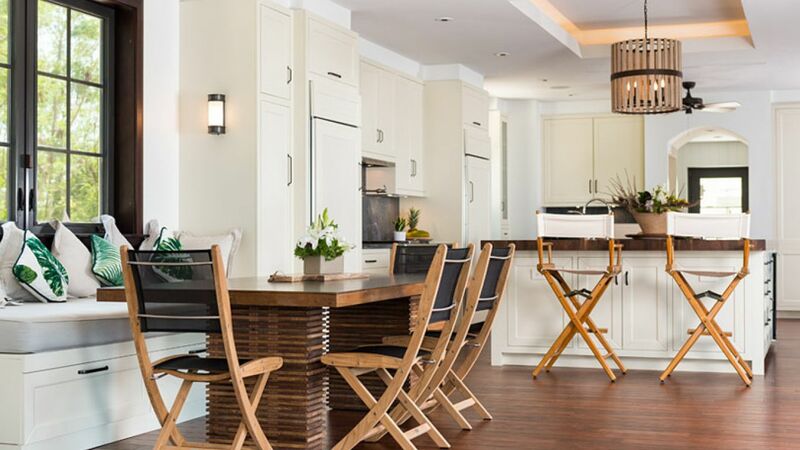 It features a spacious, well-equipped kitchen which has a large center island with stools and a small dining area. 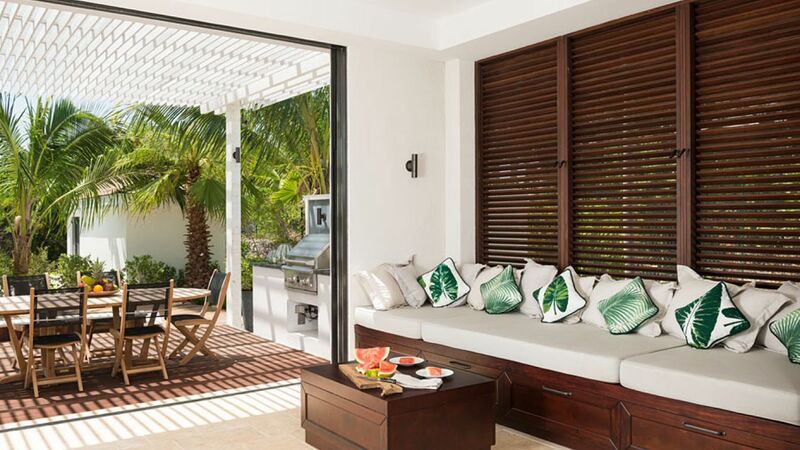 The kitchen overlooks the pool and leads to a screened playroom with movable tables and an oversized daybed. 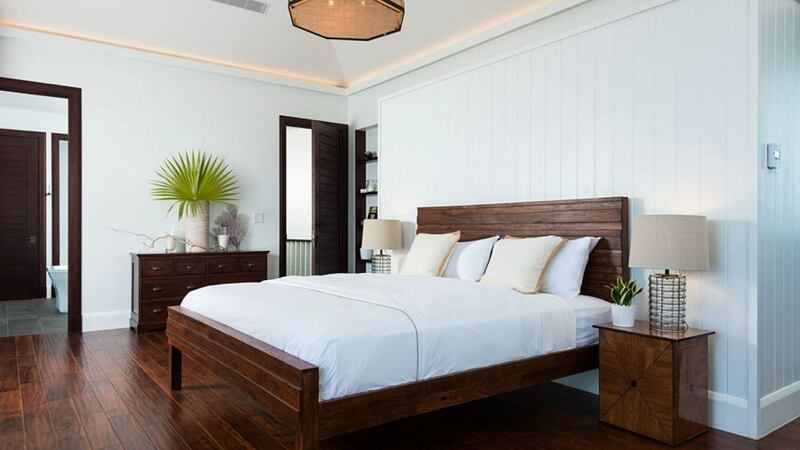 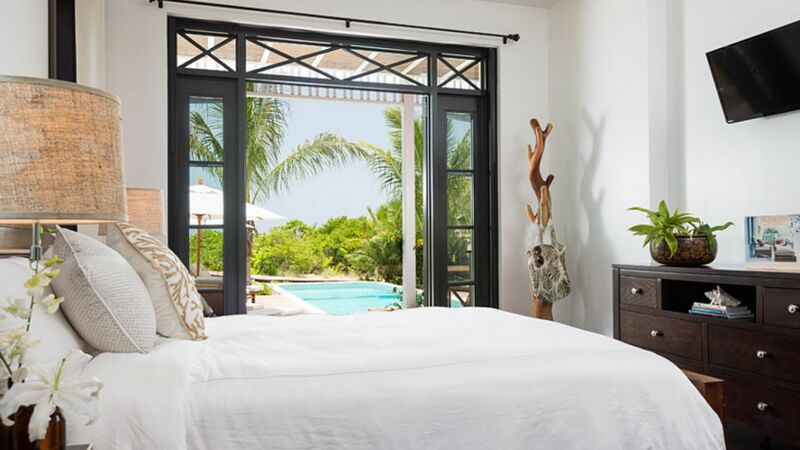 The master bedroom is located upstairs and has a king-size bed, en-suite bathroom with a large tub and shower, and verandah with ocean views. 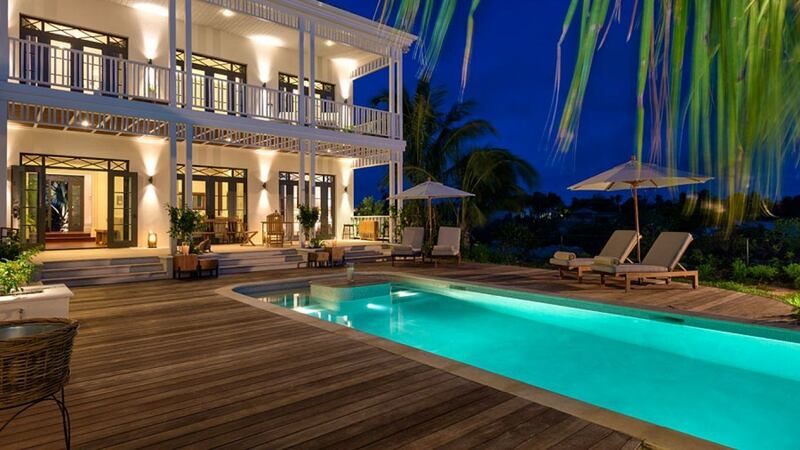 Outdoors, you will find a 40-foot long heated pool that is surrounded by Brazilian hardwood decking. 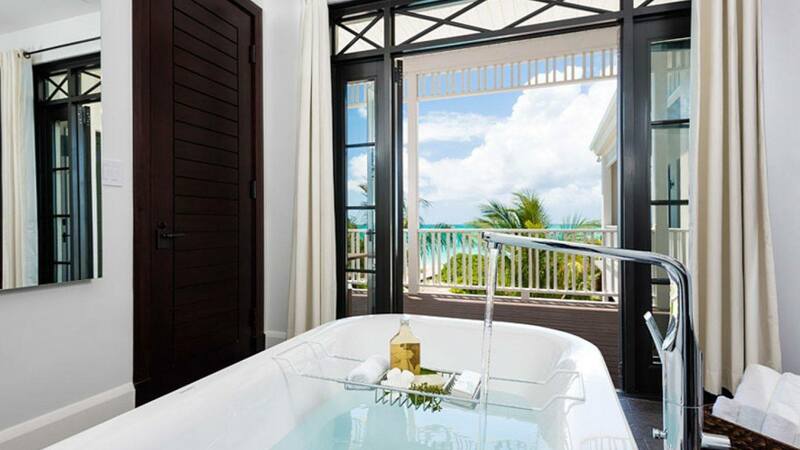 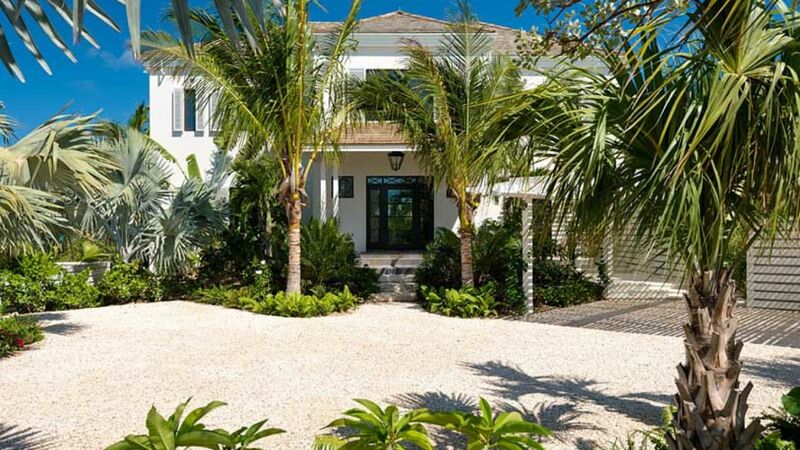 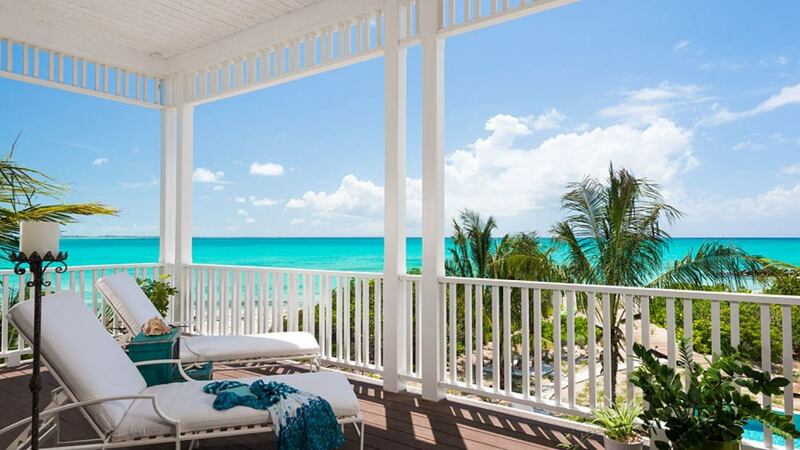 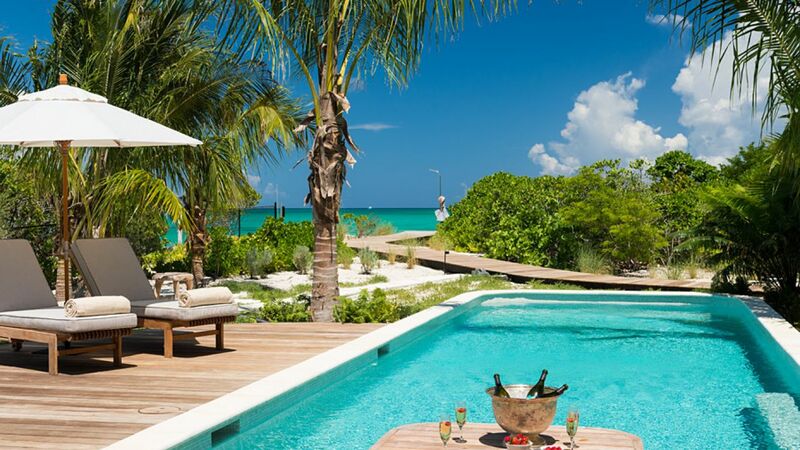 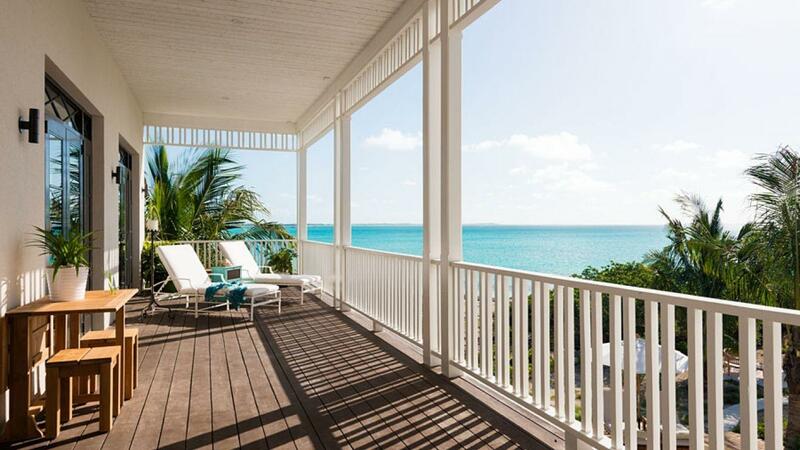 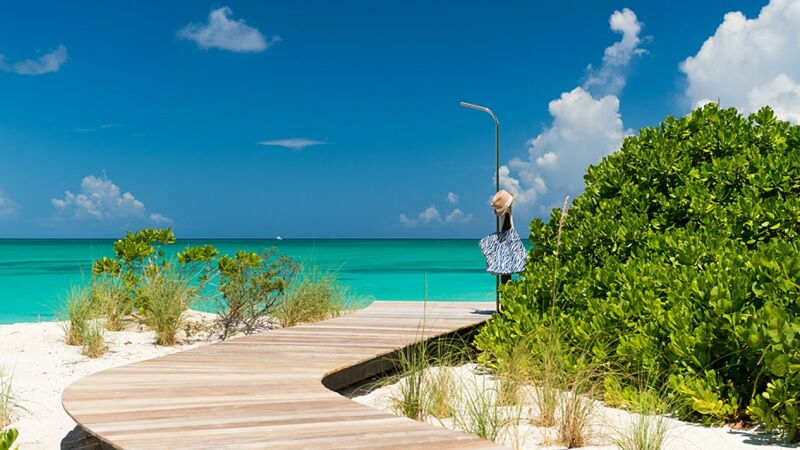 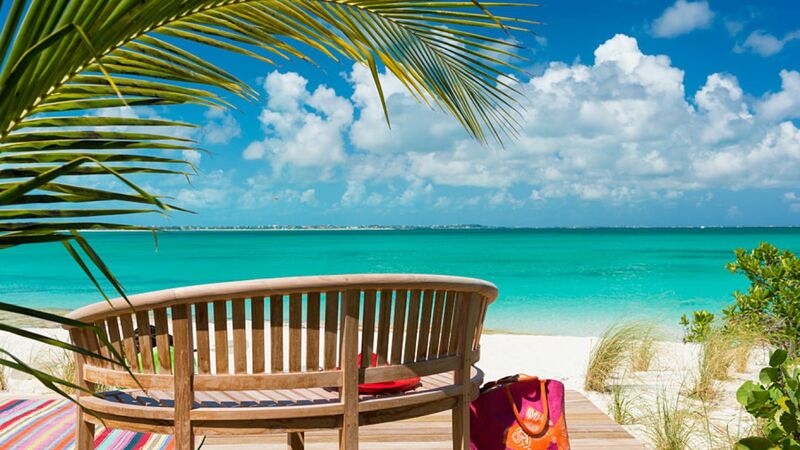 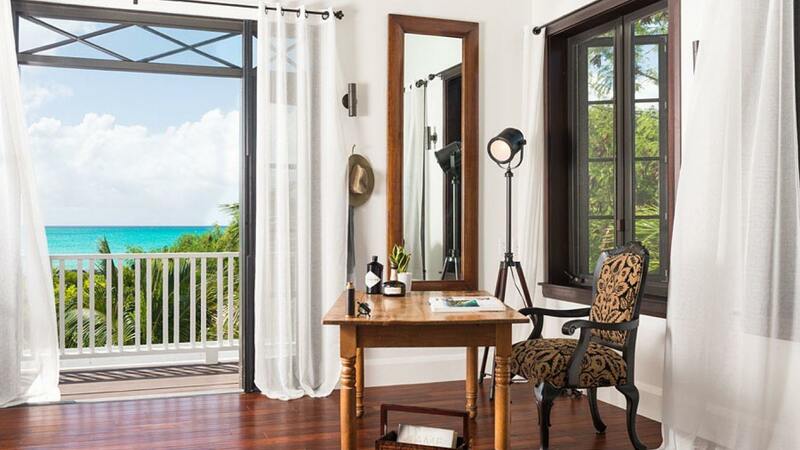 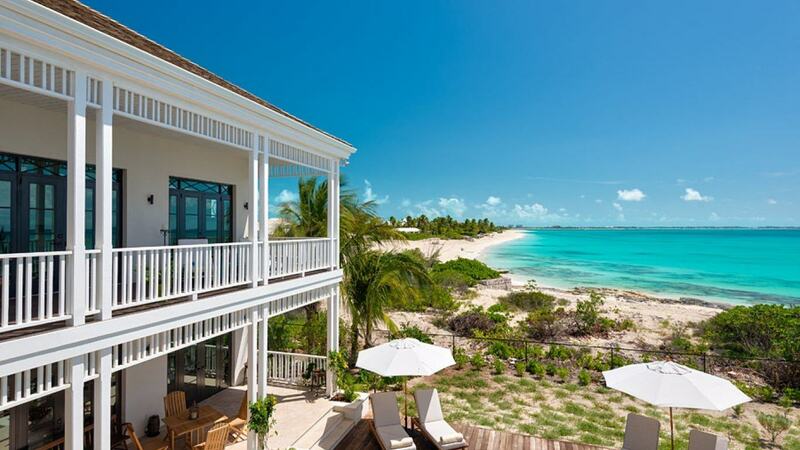 Palm-framed pathways lead you to private sitting nooks and the soft sand of Grace Bay. 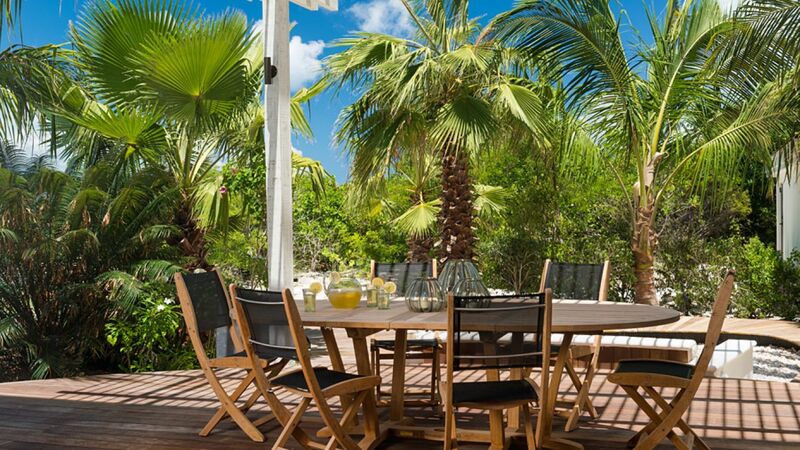 A fully equipped watersport hut entices adventure off of its protected and private cove. 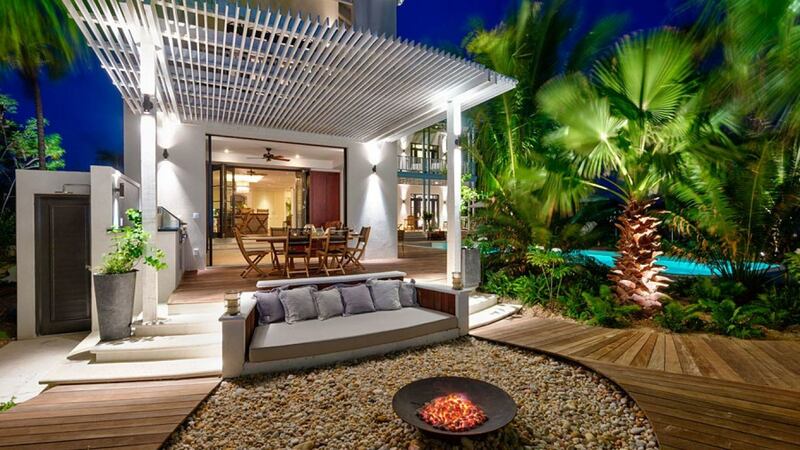 An outdoor rain shower, fire-pit, lounge and dining areas, state-of-the-art BBQ are enhanced by spectacular lighting.